Tinplate is essentially needed by all the three Defence Services in war. 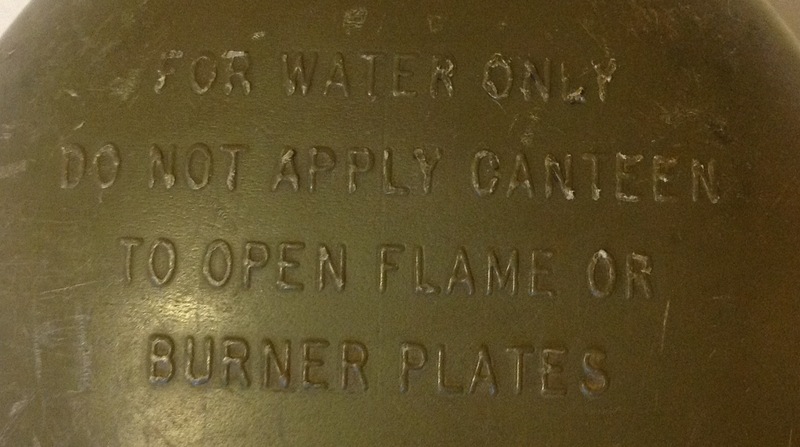 Mechanised armies depend on tinplate for their petrol, water, oil and grease, all of which must be packed in tins. It is also needed for packing food stuffs, in operational areas, for army utensils like camp kettles, degchies. mess tins, water bottles, and gas mask boxes. In munitions also, tinplate is essential. 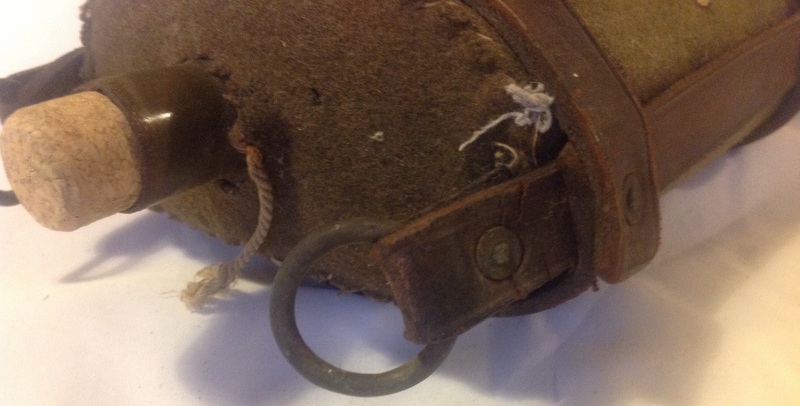 Nearly every round fired or bomb dropped owes something to tin-plate. It is required for lining the boxes of rifles and machine gun ammunition. Charges for big guns are stored in tinplate containers. Fuses for small bomb and tails and vanes for bigger ones are all made from tinplate. Depth charges also are dependent on tinplate. These increased military demands led to the expansion of the Indian tinplate industry and its output rose to 58,300 tons in 1942, 68,400 tons in 1943 and 80.000 tons in 1944. The largest increase has been in heavy gauge (26 E.G. and thicker) production in special qualities. This entry was posted in India, waterbottle, WW2 on July 22, 2017 by hatchfive. 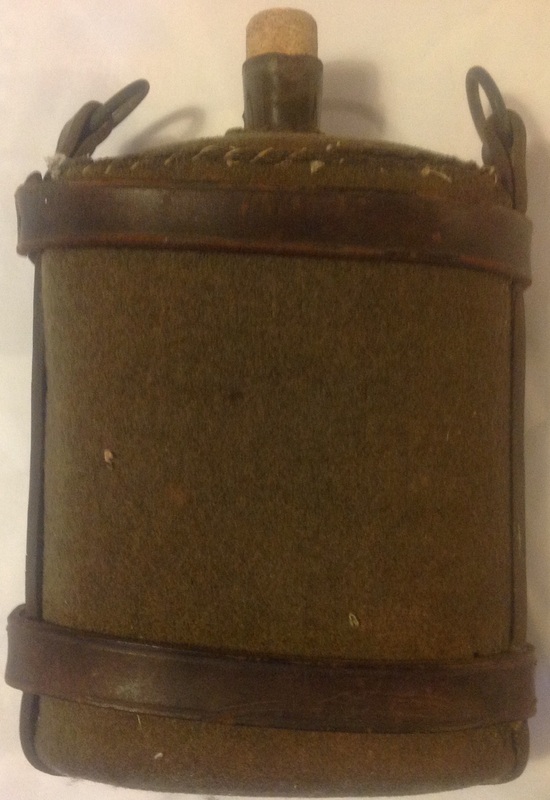 Over the last few months we have looked at the Canadian 51 pattern and 82 pattern canteen carriers. However we have not yet considered the canteens that were carried inside these items of webbing so tonight we are looking at the two post war canteen designs used by the Canadians. 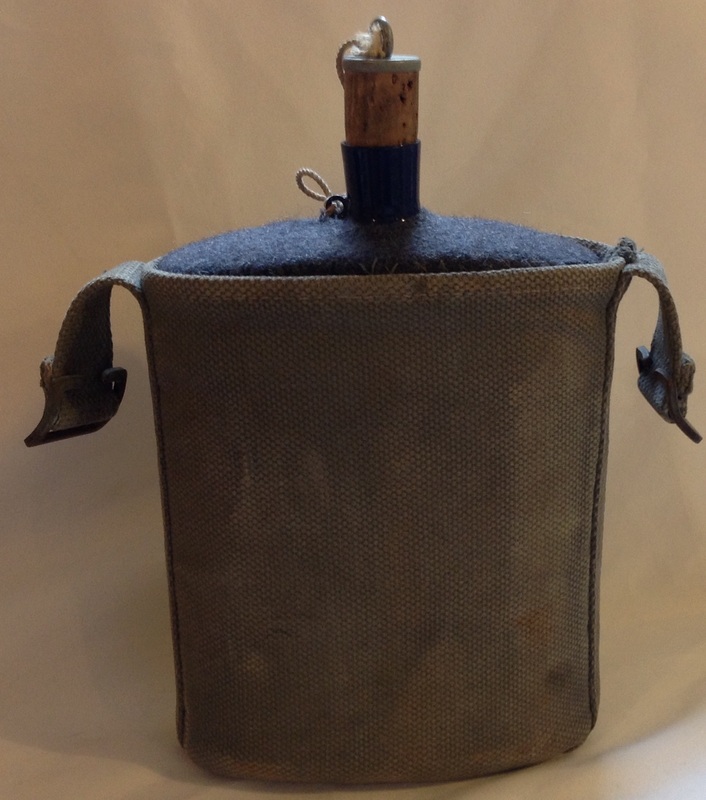 Up until the introduction of the 51 pattern webbing set, the Canadians had been using the standard Mk VII enamelled iron water bottle. 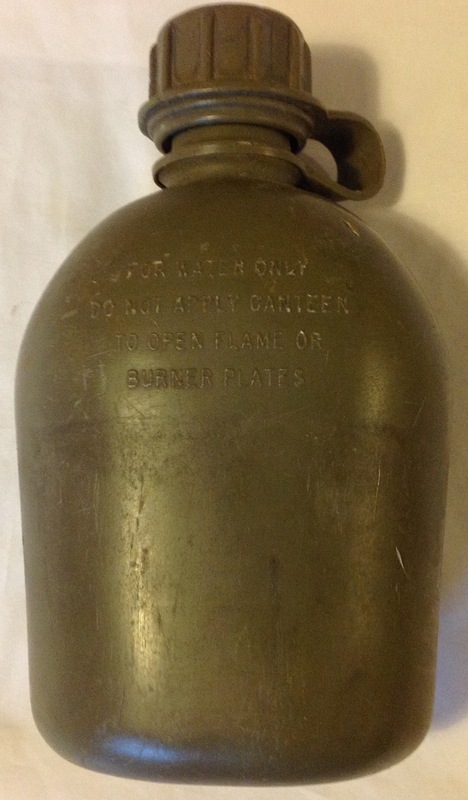 This design was clearly antiquated and a new aluminium canteen was introduced, based closely on the design used by the US since the First World War: It took a long time for these canteens to be rolled out, and many troops issued the 51 pattern set when it was first introduced had to use an old enamelled water bottle as the canteens were not ready for them. 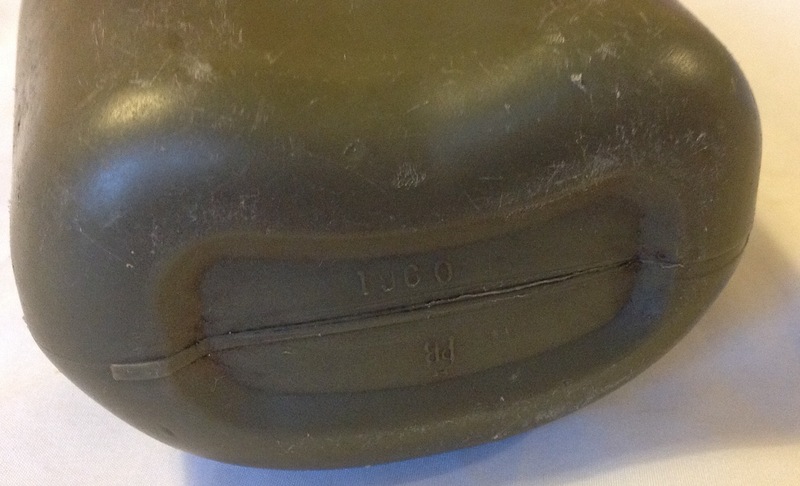 The canteen is gently curved to fit better against the hip, with an indent on the rear: The lid is made of black plastic with raised grooves to help grip: A short piece of chain is attached to the lid, that would originally have been fastened to the canteen so the lid was not accidently lost: This canteen is marked with a date of February 1957 and was produced by ‘CMF’: The aluminium canteen was certainly a vast improvement on the old enamelled water bottle, but presented some difficulties unique to Canadian service. Canada’s army had to operate in very cold conditions for much of the year meaning the water in their canteens could freeze. 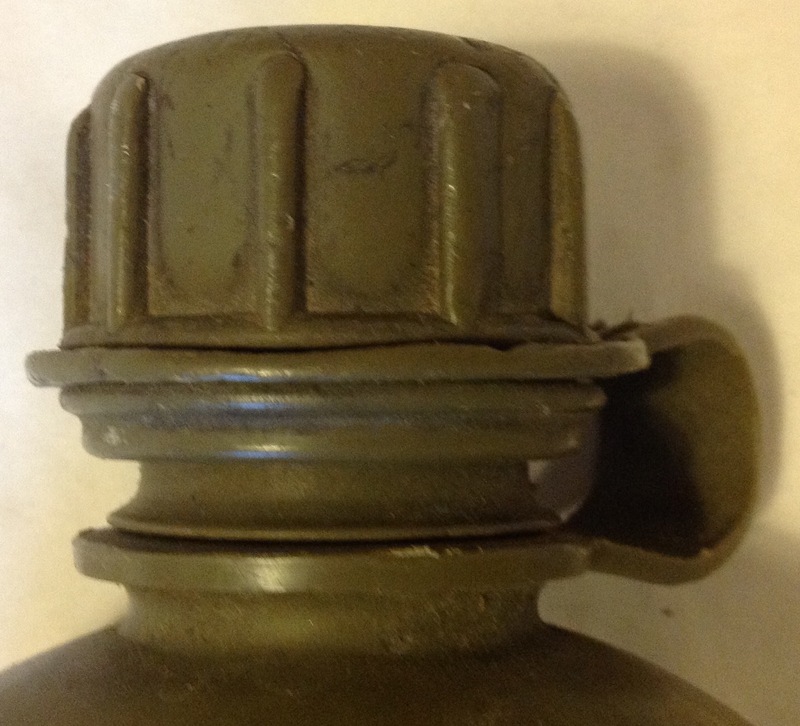 When this happened the aluminium canteen could split or be bent out of shape very easily. 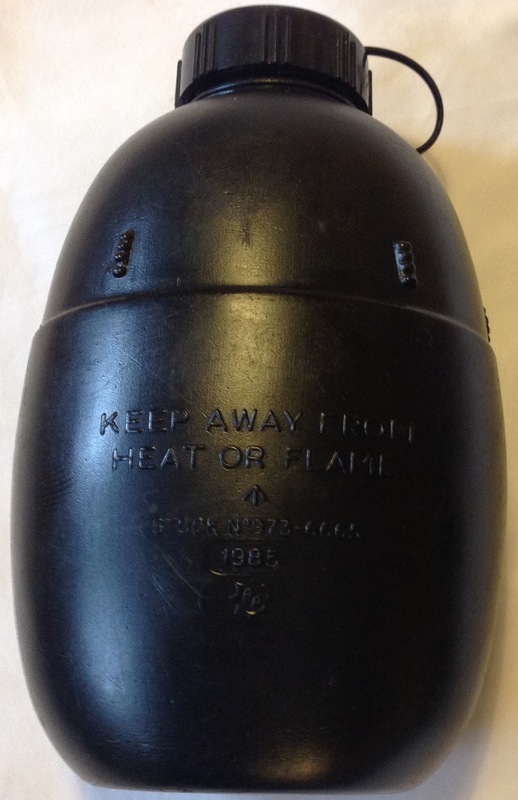 To combat this problem the Canadians introduced a plastic canteen, actually introducing this ahead of the US Army: This canteen is an incredibly early example with a date of 1960 on the base: The canteen has raised lettering on the front reminding troops not to heat water in it as it is plastic and would melt! 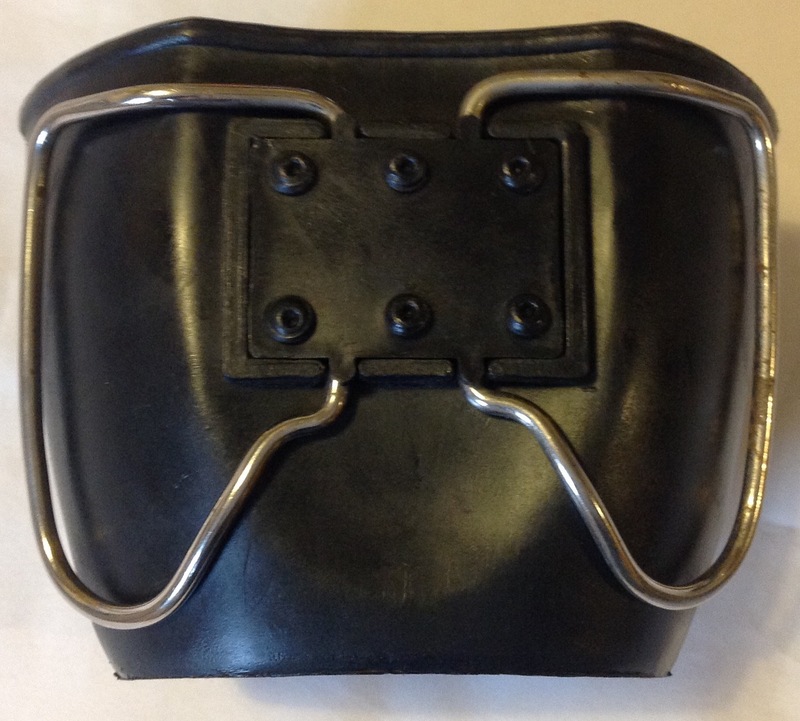 Although this seems obvious, it must be remembered that when the canteens were introduced there were ample supplied of the aluminium canteens in use and it would not be hard to pick up a plastic example in the dark and accidently apply it to a heat source. 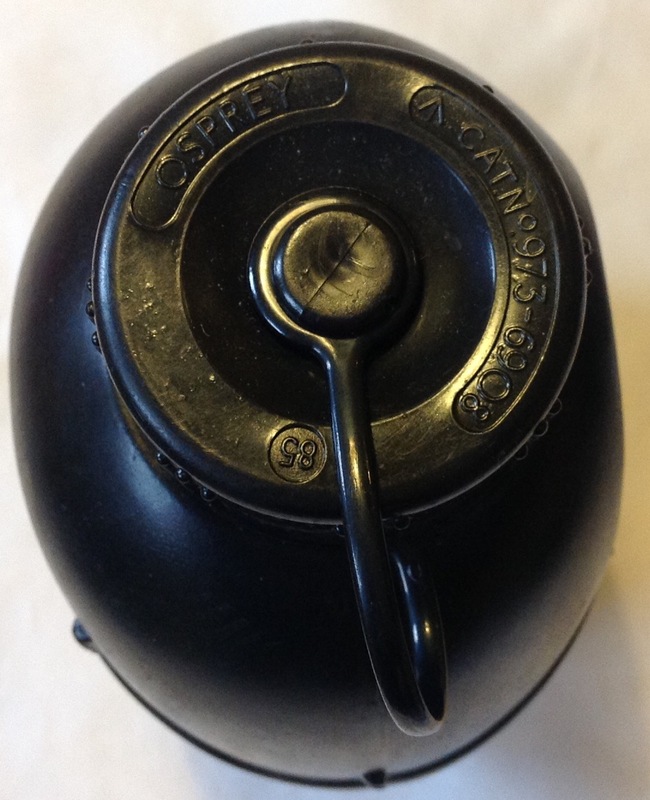 The canteen has a plastic screw cap, that is held in place with a plastic collar so it does not go missing: The plastic canteen was to prove very popular and widely copied, the US, Canada and Australia amongst many other nations all using variations of it right through to the present day. 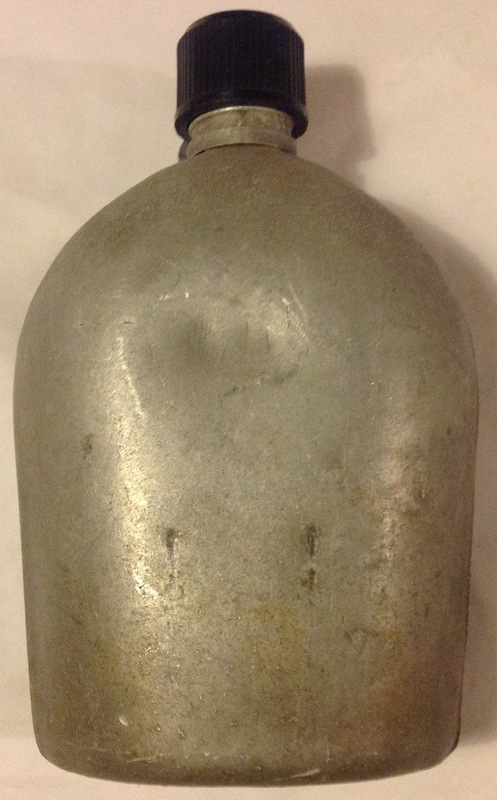 This entry was posted in Canada, Post WW2, waterbottle on April 8, 2017 by hatchfive. 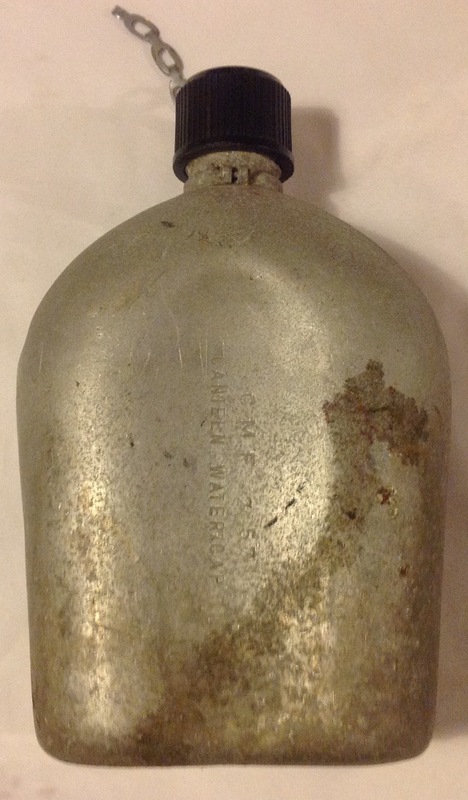 The enamelled kidney shaped water bottle was to have an extraordinarily long service life with the British military. It’s successor was to be equally long lived and it is the black nylon water bottle and cup introduced in the 1960s which is still in use today. 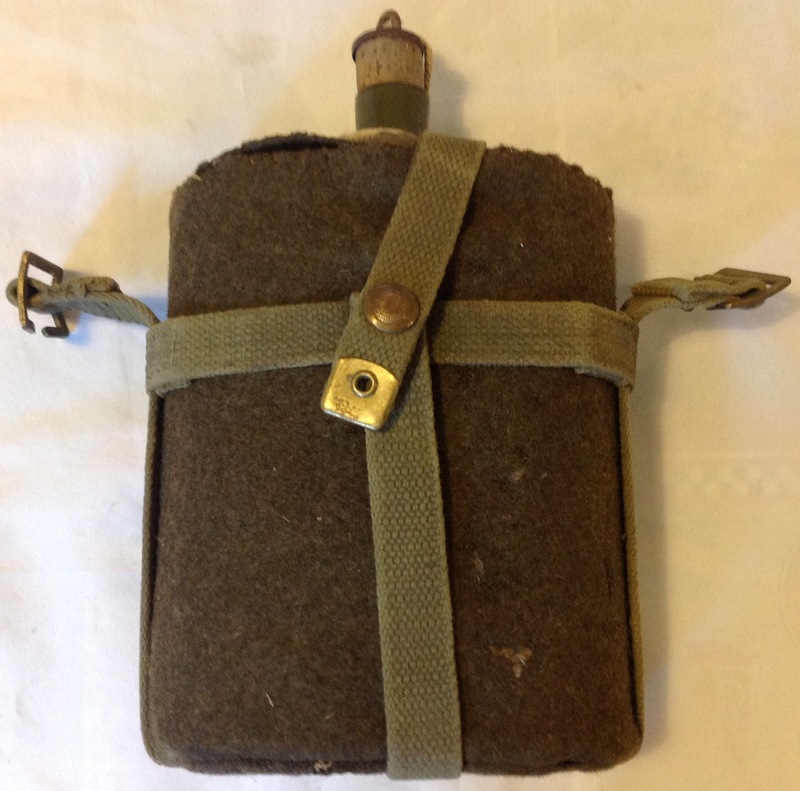 Originally the 58 pattern webbing set did not have a dedicated water bottle- the old enamelled Mk VII bottle was expected to soldier on in service despite it having been obsolete as early as the First World War. It was quickly understood a new plastic bottle was essential and after a couple of different trials models the familiar design was agreed upon in olive green plastic. 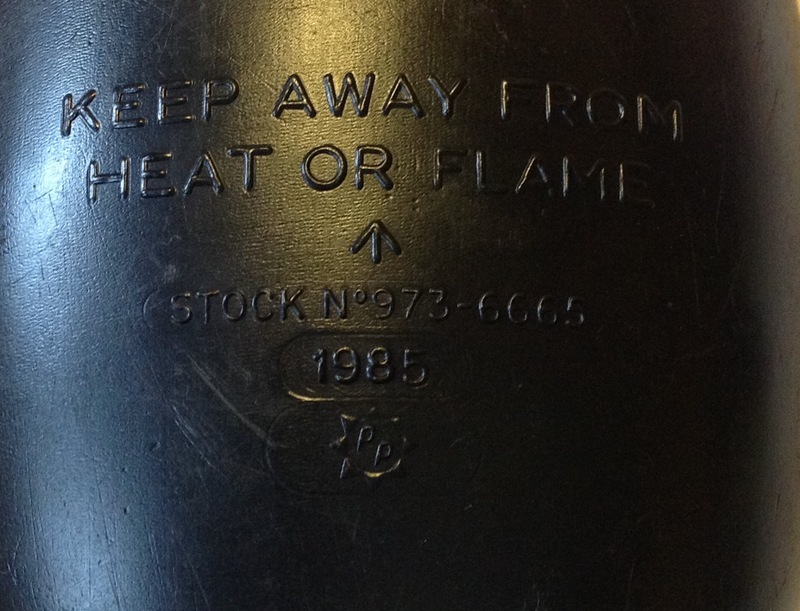 By the mid-1960s this had been changed to the familiar black: The water bottle holds two pints and comes with a separate cup that fits over the top half of the bottle when stowed in a pouch: As is typical with plastic bottles, a moulded warning is provided reminding the user to keep it away from heat, note also the date for this particular example, 1985, moulded into the side: Bizarrely the NSN numbers for the bottle allocate a separate code for the bottle, cap and cup! 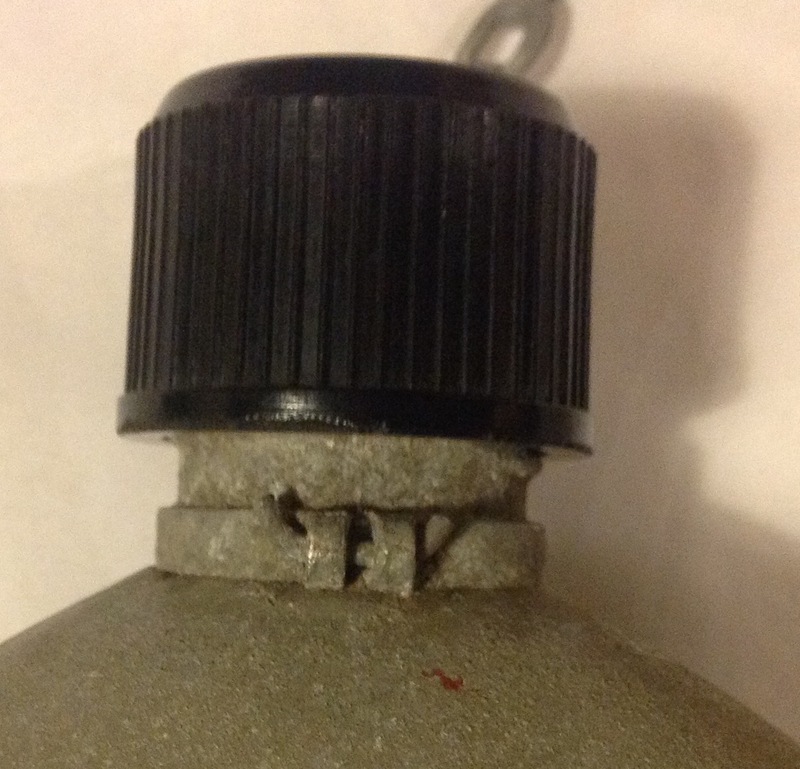 The cap is also dated 1985 and is secured to the collar of the bottle with a flexible plastic strap: Once the S10 respirator was introduced the bottle lid was replaced with a new design that allowed a straw to be attached for use with the new design of mask. 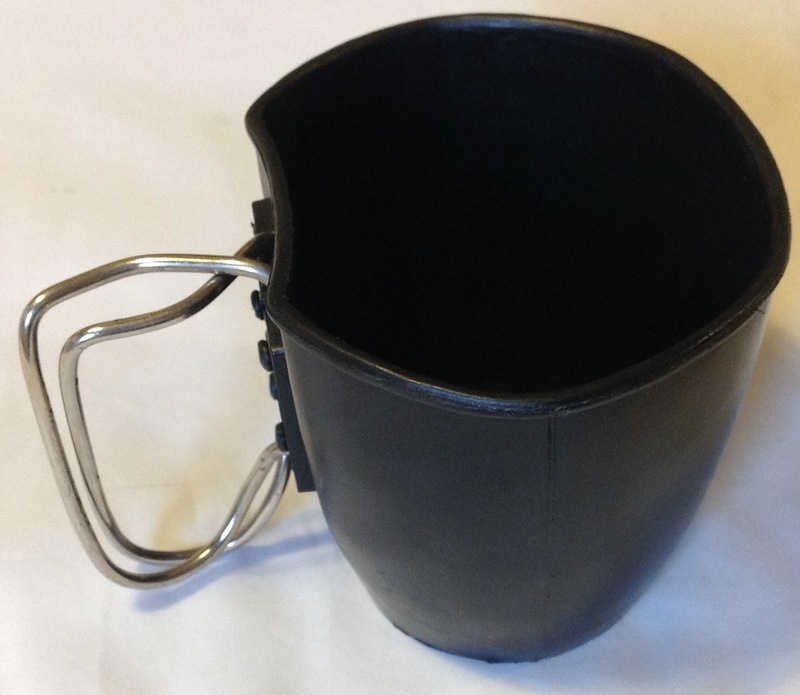 The cup provided for the bottle is also made of black nylon, with two folding metal handles: The use of a plastic cup prevented the user form burning his lips when drinking hot liquids, but meant that you couldn’t use the cup to melt snow for a cup of tea- many troops found old 1944 pattern cups and swapped them over! 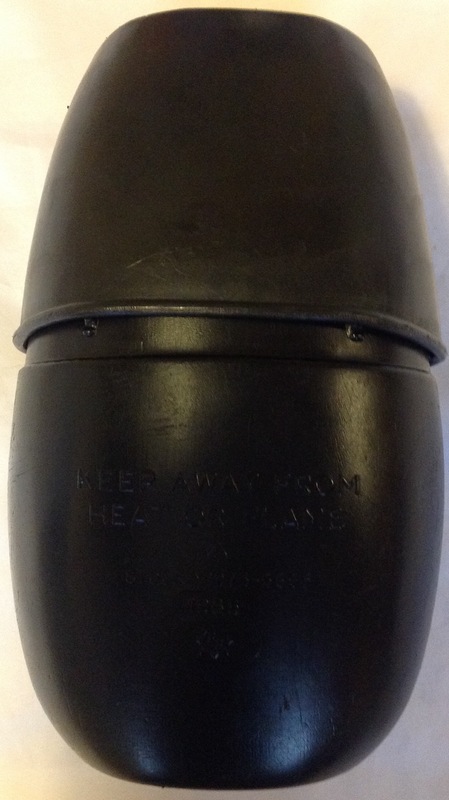 The metal handles are secured to the cup with a riveted plate and fold flat around the cup for stowage: This water bottle remains in widespread use in the British military and water bottle pouches were added to the PLCE and MOLLE systems when they were introduced to carry the same design of bottle. As it is cheap to buy (the stores catalogue prices the bottles at £1.14, the caps at 40p and the cap retainers at 10p each) and held by the military in massive quantities it seems likely that there are many more decades of service ahead for the humble black water bottle set! 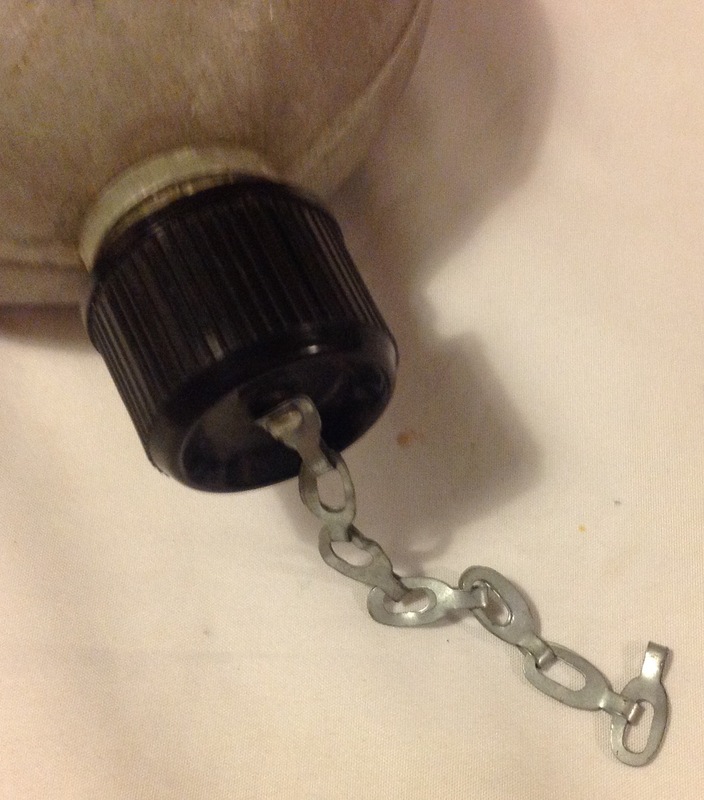 This entry was posted in British Army, equipment, Post WW2, waterbottle on December 29, 2016 by hatchfive. Despite being a maritime force, the Royal Navy has always expected its sailors to be trained to go ashore and act as a landing party for a short period of time. This need to be able to act as both an infantry force and as a lightly equipped boarding party for seizing enemy ships has ensured that from Victorian times to the present day ships have carried a supply of load bearing equipment to be issued out to matelots as and when needed. 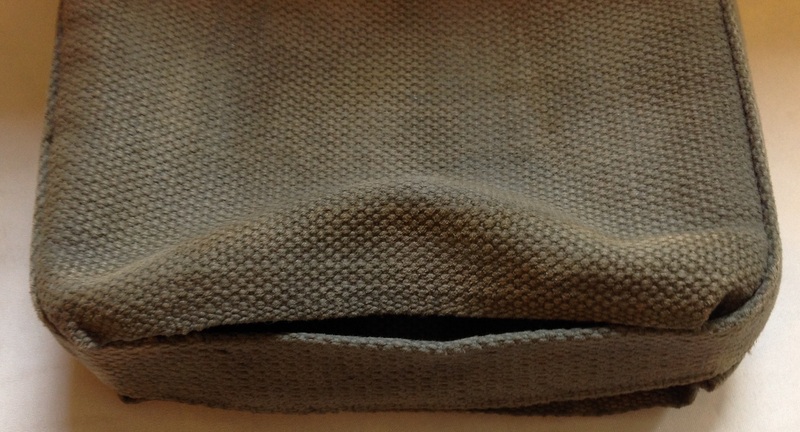 Although these days it is normally an older pattern of army equipment that suffices (most commonly PLCE), during the first half of the twentieth century the RN used its own unique patterns of equipment. 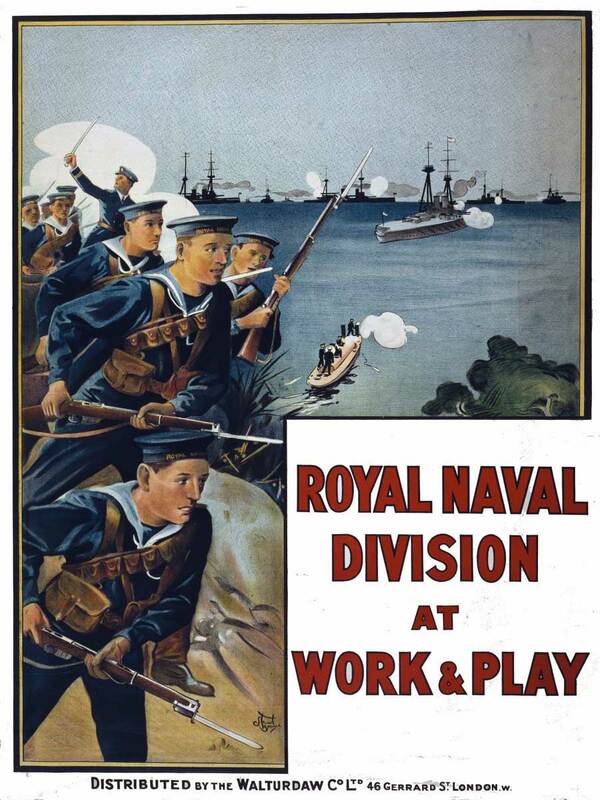 As a sailor was as likely to be equipped with a pistol and cutlass as a rifle and bayonet the navy had rather different requirements to the army. 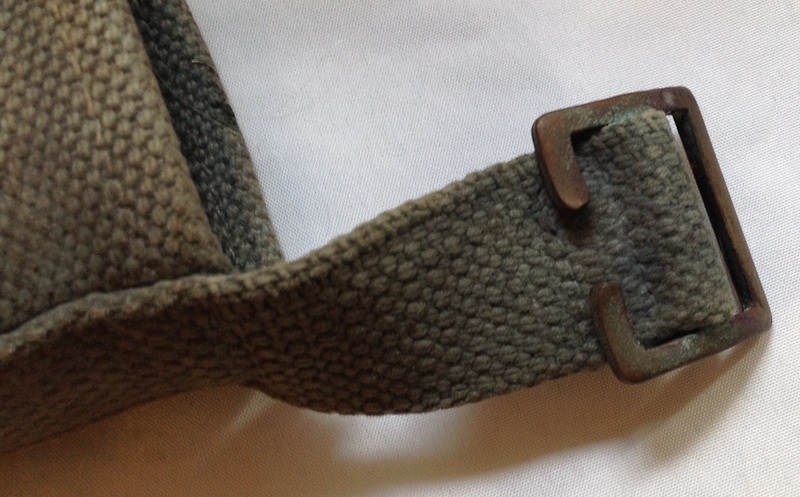 Place the water-bottle sling over the left shoulder so as to allow the water-bottle to hang against the right hip, and steady it by placing the steadying clip into the belt. 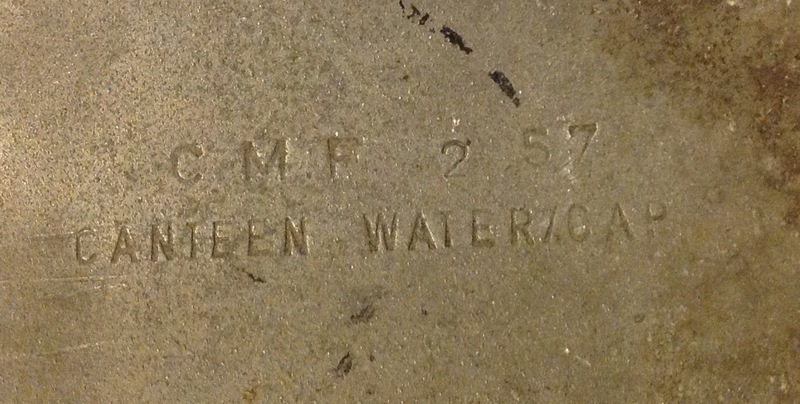 I have studied the carrier carefully and the only marking I can find is a single ‘4’ stamped on the rear so we don’t when it was made or by whom. The number might be an internal stores number from a ship or base used to identify which sailor was issued with which set of equipment. 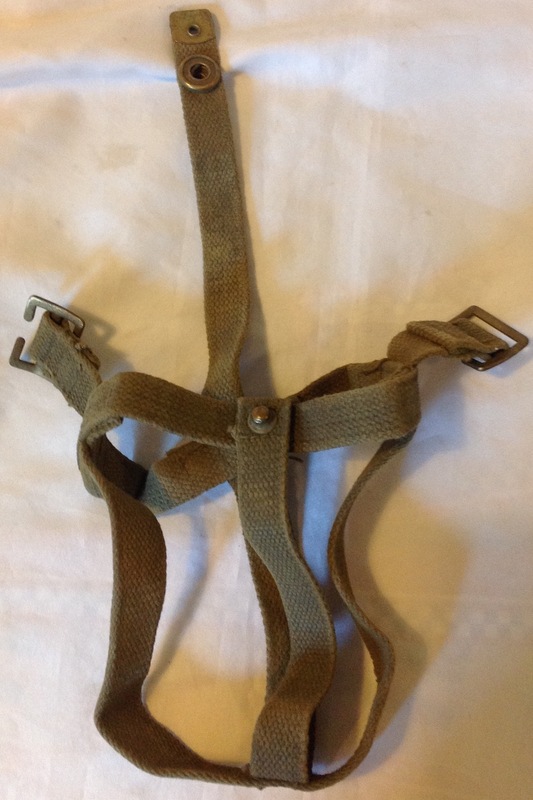 The 1901 equipment was widely used by the RN division when it first went to the western front in WW1 and was to remain in use even after the introduction of 1919 pattern webbing. It was finally declared obsolete in 1943 when it was to be replaced by 37 pattern webbing on auxiliary vessels. 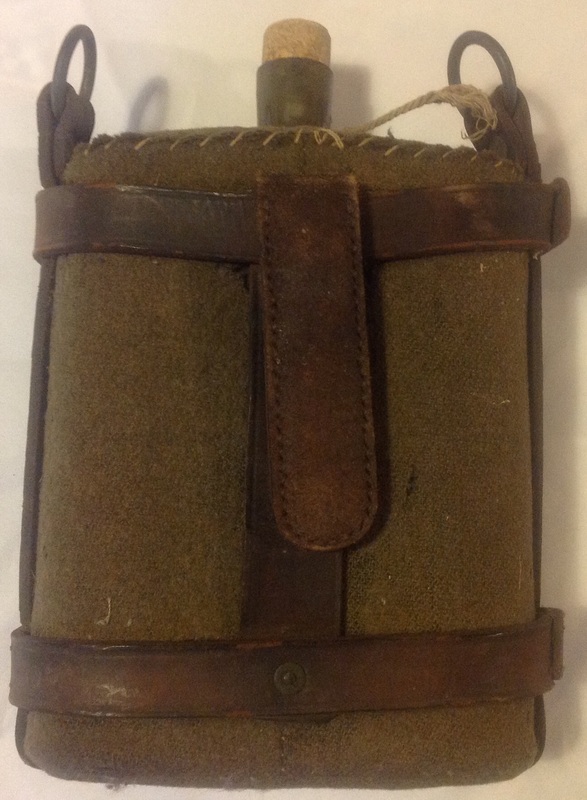 This entry was posted in equipment, Latest Pick Ups, Pre WW1, Royal Navy, waterbottle, WW1 on May 17, 2015 by hatchfive.